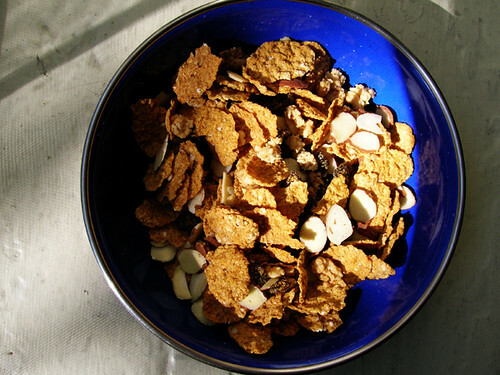 So this is my go to post-workout snack, Wild Harvest Raisin Bran with sliced almonds. I'm not picky about brands, I actually usually get store brands because they're cheaper. Store brand raisin bran is disgusting, though, and might even be the reason that I used to think raisin bran was disgusting. I mean, Wild Harvest is a store brand. But fancy! The flakes don't get soggy in milk, or in almond milk in my case.